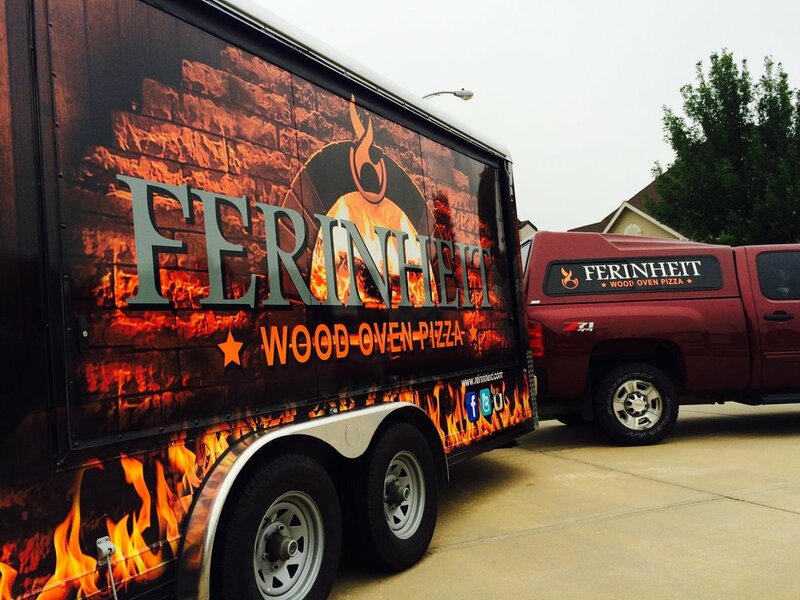 Ferinheit Wood Oven Pizza is family owned; we are following our passion & doing what we love! We were honored this year to have Noah Cappe from Carnival Eats and the Food Network include us as part of their season for 2017. You can find the episode, Point Break-fast, Season 5 episode #4 on the Cooking Channel's website for your viewing pleasure. Thanks to Cooking Channel, Food Network and most certainly The National Ballon Classic, where all the magic happened. "Yes, we sell by the slice... Buy 1 get 5 free" -- Dave from Brava! Whether you are having a corporate event, block party, anniversary, reunion, wedding or just want to impress your neighbors, we are here for you. We offer complete catering services, specializing in events with a guest list of 175 or less. City and venue location please. Time event is set to begin. Thank you for your inquiry. We will be back to you soon.